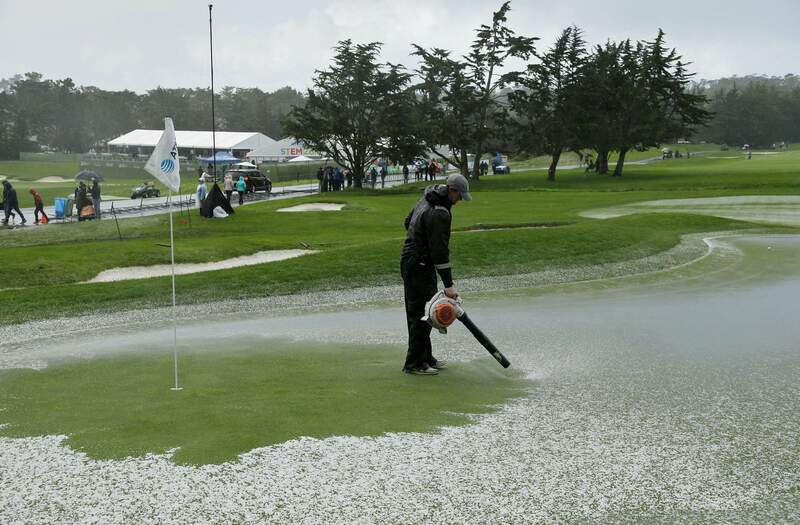 Phil Mickelson follows his drive from the fourth tee of the Pebble Beach Golf Links during the final round of the AT&T Pebble Beach Pro-Am golf tournament on Sunday in Pebble Beach, Calif.
A greenskeeper uses a leaf blower to clear hail from the second green of the Pebble Beach Golf Links during the final round of the AT&T Pebble Beach Pro-Am golf tournament on Sunday in Pebble Beach, Calif. Play was suspended after the hailstorm. 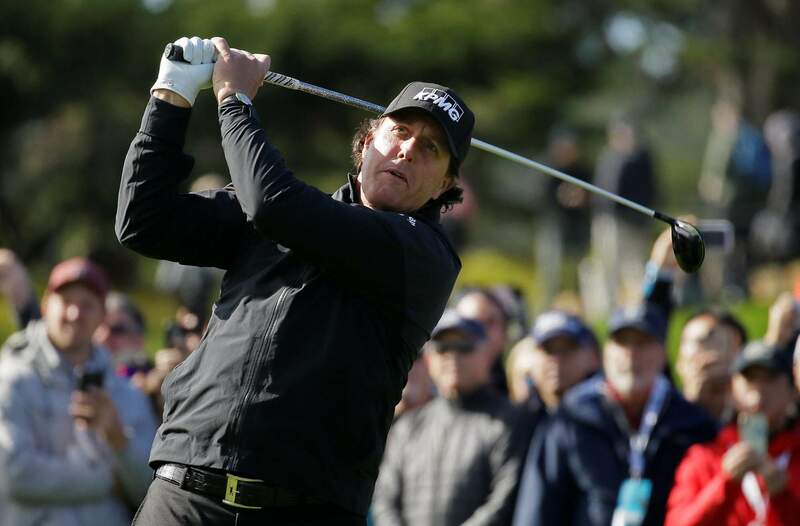 PEBBLE BEACH, Calif. – Phil Mickelson had everything go his way Sunday in the AT&T Pebble Beach Pro-Am.